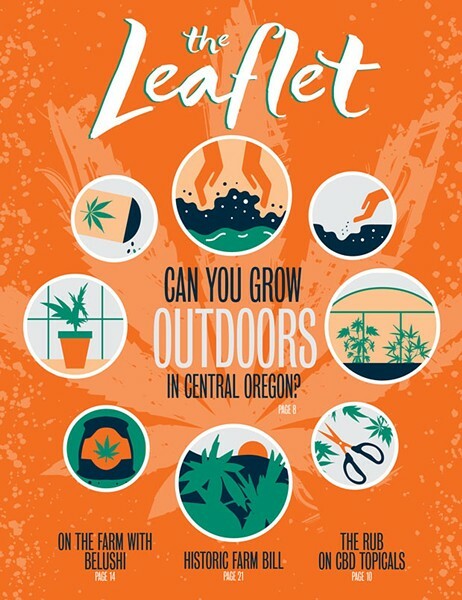 Welcome to The Leaflet, Central Oregon's first—and only—local guide dedicated to all things cannabis. If you're new here, let the following pages give you a place to start in sorting out this budding industry. If you've been here a while, we hope you enjoy yet another installment of our bi-annual booklet! How to Grow Outdoors in Central Oregon. The growing season here is short. Let these tips and tricks from the experts ensure you have your own productive crop in your backyard. The Rub on CBD Topicals. Our team tried out some of the locally made CBD creams and lotions and tells you what's good. On the Farm with Jim Belushi. The famous actor is just one of many farmers growing cannabis for the Oregon market. We took a tour of his farm. Historic Farm Bill. 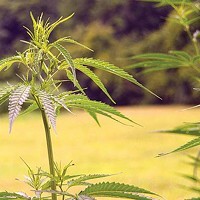 The 2018 Farm Bill puts hemp on par with other crops. 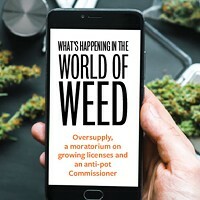 Cannabis News. When it comes to cannabis, rules, regulations and local leaders' stances can change often. We outline some of the latest happenings in the local industry. What Musicians Smoke. Our longtime cannabis columnist Josh Jardine is also a tour manager who meets a lot of musicians. Find out what their favorite strains are. We asked locals, what's your definition of a "stoner?"